Beats me. I can’t explain how I write poetry. It just happens, generally at a desk, word by word, without prior planning. 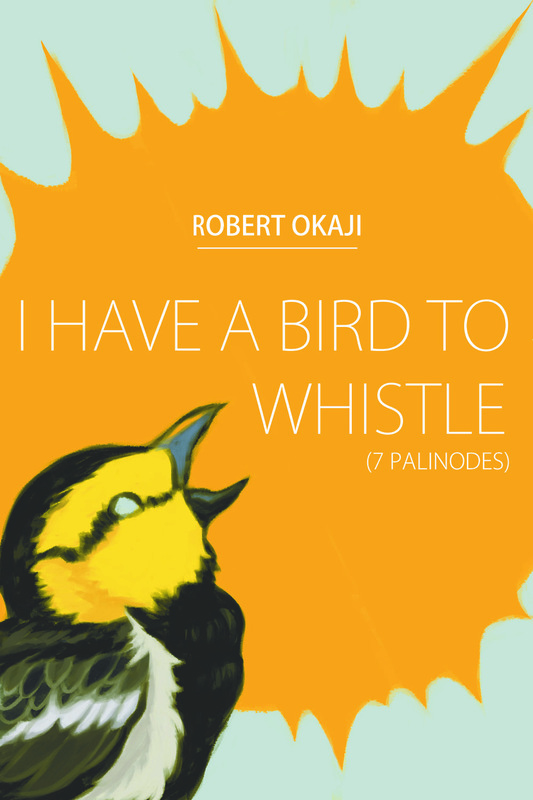 So it was with the pieces in I Have a Bird to Whistle (7 Palinodes), my latest chapbook. I was staring out the shack’s window, through the bird imprint (months earlier, a dove had smacked into the glass, leaving its body’s smudged outline behind), when the first words of the poem came to me: “What falters in translation?” Which of course led to thoughts about assumptions and traitorous actions, passageways, Robert Johnson, slide guitar, truth, perception, flight, refraction, etymology, deflection, Jung, and much, much more. Thus the book’s title is taken directly from Robert Johnson’s lyrics, inspired by a dove’s misperception, and filtered through my mind’s colander, with the residue dumped out on the page. Not en elegant process, nor a quick one, but there you have it. This entry was posted in Poetry and tagged chapbook, creative writing, life, music, nature, philosophy, poems, poetry, psychology, words, writing by robert okaji. Bookmark the permalink. Yup, that explains it for me too. I sit down, a presto, a poem appears on the screen. weird. Ordered my copy. I’ll take them any way they come! Thanks, Andrew! My belated thanks go to the dove. Bought it. Looking forward to reading it! Cheers! Wonderful! Thank you so much, Jilanne! I thought this was in book format. But then I saw that I had to download it after I bought it, and now I can’t figure out how to read it. I am a luddite….will continue to try to figure this out….I may be hopeless. Huh? It is in book format, and will be shipped to you on the 25th (if not earlier). Well, it told me that I should download a Gumroad app on iTunes. So I did….and now I’m confused. Strange. I have an image of Firefly Magazine that appears to be a jpeg. And nothing happens when I click on it. The image shows I Have a Bird to Whistle. Very strange. I’ll delete this thing and edit for paper. Thank you!!! Let me know if you continue having problems. Just checking back in to confirm that it will be shipped to me on Feb 25? I bought it on the 9th, and haven’t heard anything. Sorry to be a pain…..Thx! That’s the plan! You could never be a pain, Jilanne!